This is Ima (as in "Ima Kangaroo"). My sister's husband is a zoo director, and they are bottle-feeding this little joey because the mother rejected her. 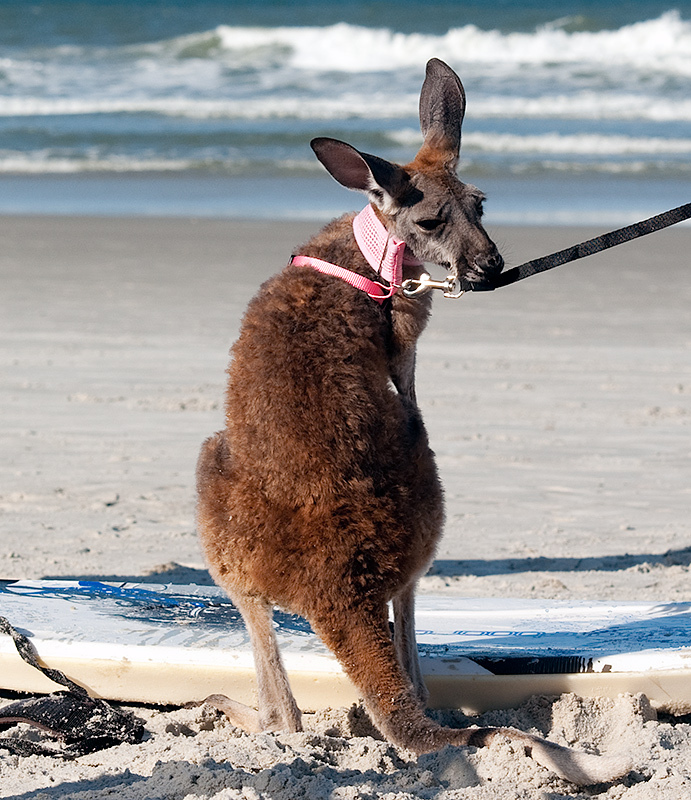 They came to visit, so naturally, we hit the beach, 'roo and all. The submission page isn't too happy with the special rule for this challenge. This was taken on July 3rd of this year. How good would he be at balancing on a board with those huge feet ? Proudly hosted by Sargasso Networks. Current Server Time: 04/18/2019 10:57:08 PM EDT.